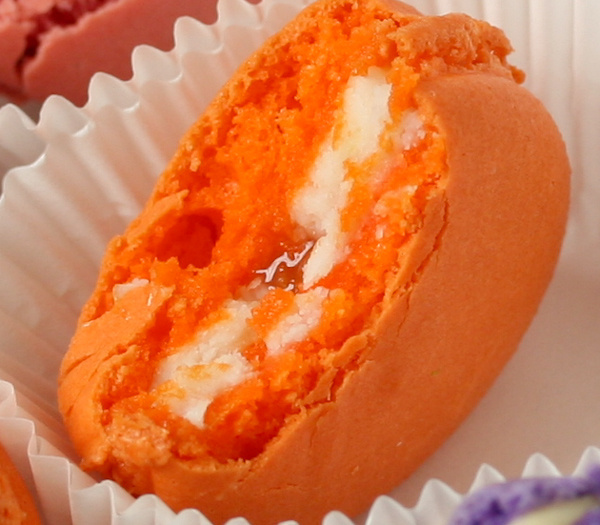 Macarons - better than a box of chocolates! Very sweet orange curd goes excellent with bittersweet chocolate ganache and Grand Marnier for the best filling for French macarons. ...a little change from lemon curd and a whole lot sweeter. This recipe was adapted from the lemon curd recipe at growitcookitcanit.com. I kept the same amount of sugar as in my lemon curd recipe. By gosh, the resulting orange curd was way too sweet. However, this recipe is perfect for the orange curd-flavored bittersweet chocolate ganache—with a dollop of orange curd—macarons. I would NOT eat this orange curd like you would my lemon curd; it is just way too sweet. It’s as sweet as honey! This orange curd does not get as thick as the lemon curd—not even close. It ladles like honey and keeps in the fridge for at least a month. This curd freezes nicely; thaw in fridge for about 6 hours then it's ready to use. The lemon curd recipe is in the book. *Remove as much of the white strands of membrane as possible. This curd will not be strained. 1. Place the sugar and zest in the small bowl. Stir to combine then set aside. 2. Put the whole eggs and the egg yolks into the stainless steel bowl. Whisk the eggs thoroughly until the mixture is light yellow and fluffy. 3. Add the sugar mixture to the eggs and blend well. 4. Add the citrus juices and whisk to combine. 5. Add the butter pieces. 6. Position the stainless steel bowl atop the pot of simmering water. 7. Use the rubber spatula to distribute the butter and stir the mixture. 8. Continue to stir the mixture until it reaches 170 to 175 degrees Fahrenheit. At this temperature, the curd will be thick like runny pancake batter. This takes about 45 minutes of stirring over simmering water. Don’t turn the heat up or you might curdle the eggs. 9. Once the curd is just over 170 degrees Fahrenheit, remove it from the heat. 10. Place a funnel over one jar then pour enough curd into it, leaving a half inch of space from the top. Cover the jar with a lid and seal with the ring. Repeat with remaining jars. 11. Cool the jars completely at room temperature. Once cooled, place in fridge overnight then in freezer. 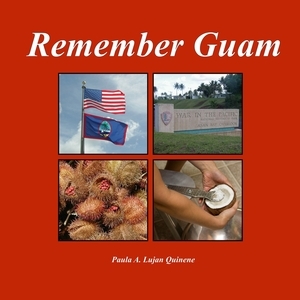 © Copyright Paula Quinene. 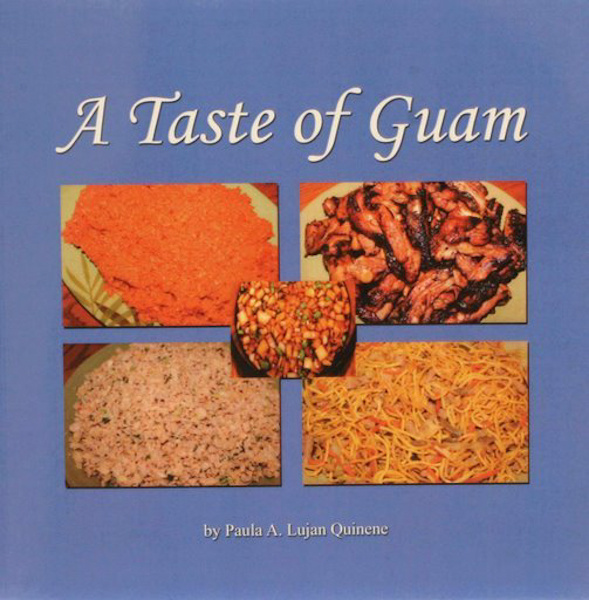 Check out Guam cookbooks and Chamorro cookbooks, A Taste of Guam and Remember Guam, for more Guamanian recipes and Chamorro recipes that are tested, tried and true. 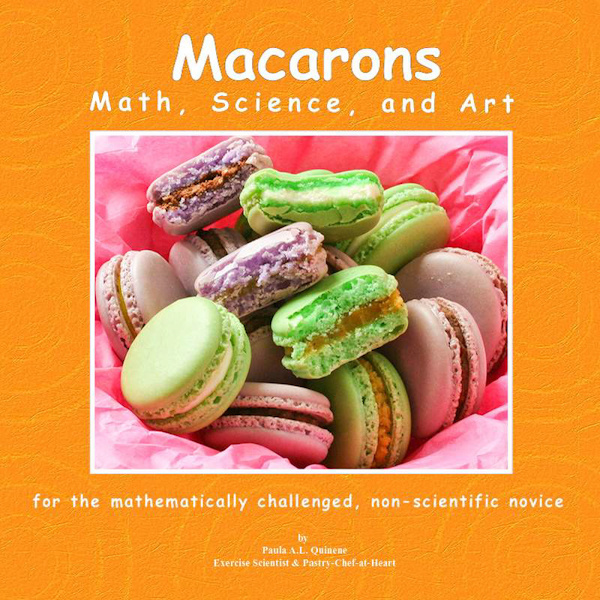 Get Macarons Math, Science, and Art, for foolproof macaron recipes and techniques. Enjoy a Guam romance novel in Conquered. Most photos courtesy Paula and Edward Quinene.